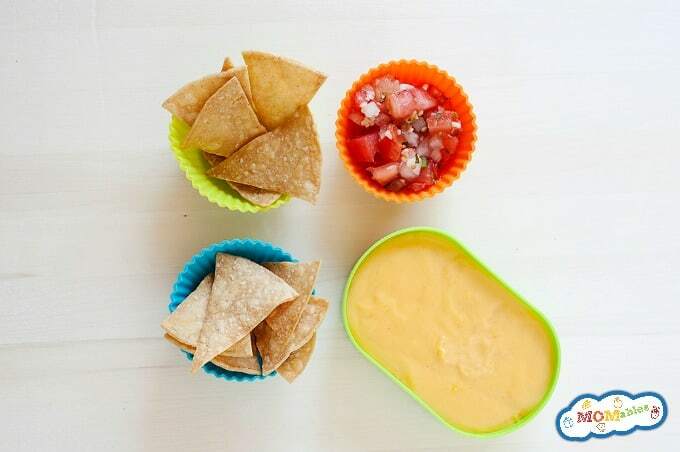 Who doesn’t love a good queso dip? That creamy, velvety cheese dip that tastes good with EVERYTHING. Homemade queso with real ingredients is here! Also known as homemade Velveeta cheese. Grab the recipe and use it as you normally would! Unfortunately, it’s also made of processed, mystery ingredients that leave us all feeling guilty with every bite. But, I have finally found the PERFECT real, cheese dip that has the same velvety, delicious quality of the fake cheese, but made with real ingredients! Of course, there is nothing wrong with munching on fruits and veggies but why not add a new, healthier alternative to the party? A cheesy, better ingredient alternative! Test after test, 21 tries later, I am glad to introduce you to MOMveeta! Made with real cheese, milk, and spices this recipe can be made in your microwave or slow cooker. Does it get any better?! It goes to show you that real food can be fun and delicious! For more family favorite recipes and snack ideas, check out our family meal plans. Place all the ingredients inside a large microwave-safe bowl. Microwave on high for 5 minutes, stopping to stir every 1 to 2 minutes. The mixture might seem watery during the first few stirs, but it should come together as a nice runny dip after all the cheese is melted. Place all the ingredients in a small slow cooker (that will fit at least 4 cups of liquid). Turn it on high for 2 1/2 hours. Mix the ingredients every hour to prevent the cheese from sticking to the walls and possibly burning. Reduce the heat to the lowest setting, and enjoy! * The diced tomatoes & green chiles is optional, but it adds a lot more flavor. To make this as a true Velveeta replacement, take out the diced tomatoes & green chilies, and add ½ cup additional milk. Cool and refrigerate or freeze in 1-cup portions. Reheat every 30 seconds until creamy and hot. Use as you would with Velveeta. Not all white American cheeses are made equal. Check the ingredients because some don’t really expire. If it says “cheese product,” it’s probably not real. I used Land O’Lakes brand in our test. Yes, I know, it’s not the best, but many of you asked for it. After 21 tests and more than $300 in cheese, there is just no way to get around it. Get the best quality you can find and afford. For both recipes, I purchased the cheese from the deli counter in a big chunk; don’t use sliced cheese. I’d like to use this recipe. My favorite potato soup calls for velveeta and it’s soooo good. I have a question: what is Natural American Cheese? Is there another type I can use instead? I live in Canada and I’m not sure I’ve ever seen this this type before, although I’ve never had a reason to look for it. I believe I’ve answered this in the comments above. You’ll need a melting type of cheese. What kind of cheeses are melting kinds?I have looked for the American cheese everywhere. I found it at deli counter (I don’t know if it’s natural or not but it was the brand you recommend) would that still work? well, you can try Great Lakes or Applegate brands of American Cheese. other cheeses like Fontina and colby will work. So happy I found this, a wonderful substitute! Made nachos tonight amazing! Coming across this recipe seriously just made my day. I make a menu plan for every 2 weeks and one of the days is our “snack night” BBQ meatballs and rotel dip. I love the taste of Velveeta but despise all the extra junk in it. I will definitely be trying this out! Cant wait! Wow. I can’t believe how good this is, I’m making it right now. Recently I have gone the way of trying to remove any and all artificial foods from the house and replacing them with natural food. The sauce has been sitting in the crock pot for about a half hour right now and a little taste test, I can’t believe how good it is. It’s better than Velveeta if you ask me. Thank you for doing all of the work and getting this out there. I also have a question. I want to use this cheese for mac and cheese. Can you tell me roughly what ratio of ounces of elbow macaroni verses this cheese I should use? Usually when I make mac and cheese I will use 1 box (12 oz) of elbow macaroni. How many cups of this cheese should I make? Tom, this recipe is a 1:1 substitute for velveeta. If you look up a velveeta mac and cheese online, you follow the directions but use this homemade version. Just made mac and cheese using this recipe … it came out fantastic and tasted exactly like velveeta. I would suggest using 4 servings of shredded cheddar cheese (112g or 1 cup) and 12 slices of american cheese (225g). I’m thrilled you like it Tom! don’t’ forget to lower your temperature in the crockpot to low if it’s going to sit out a while and to stir once in a while! Enjoy! Yeah, as soon as it reached consistency I turned it on low, had it sitting for hours waiting for guests. Made nachos topped with chili meat and cheese. Was better than Velveeta in my book. I will never touch that fake stuff again. I have a recipe for a cheese roll made by rolling out Velveeta (and then covering with cream cheese and chopped jalapeños). Do you think this MOMveeta would roll out well after chilling in a loaf pan? Thanks! 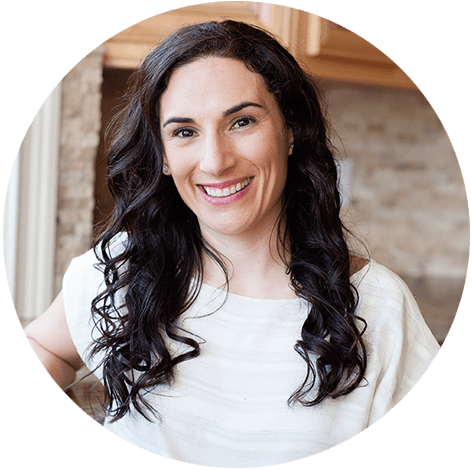 Cristy, i haven’t tried using momveeta in that way but we have over 100k people that have downloaded our recipe and used it in any way you’d traditionally use the regular type. why not line a 9×13 pan with parchment paper, pour momveeta, cool it, and use it to lift it out? just a thought. Keena, I’m soooo happy it finally worked!! nothing like your awesome persistence and glad you figured out it was the crockpot! Hi! I attempted to make this cheese today with applegate sliced american and the whole foods brand organic sharp cheddar. I was making it without the tomatoes and chiles so I added extra milk. I am making it in the crock pot and it seems that my cheese curdled. Any idea where I went wrong? Keena, I don’t know! thousands have made this recipe successfully with applegate’s american and cheddar! did it fully melt? the tomatoes are optional. Keena, let me know how it works out. I know there are a lot of comments but I’m sure that others have used applegate without issues. even if you omit the tomatoes don’t add any additional milk unless you need it. Also, I hope you didn’t throw out the “curdled” one! You can use that one for macaroni and cheese for sure! Hi! So I made it again on low and it curdled again. :/ It could just be my crockpot. This time I used American cheese that I bought from the Whole Foods Deli and the Whole Foods Sharp Cheddar. I am going to buy enough for two more batches and try it in the microwave and the stovetop. Ill update you when I do it! Thanks! & This time I kept the curdled one and Im going to use it for Mac & Cheese! Thanks!! it’s got to be the crockpot. I’m so sorry! did you watch the video? I had the same problem! I was so sad! I used White American Cheese from Publix Deli and Sharp Cheddar Cheese (block) from Costco. I used half and half because that’s all I had on hand and a little cumin. It turned out great and tastes just like Velveeta, so I am happy to have an alternative that is much healthier. Now…on to make Macaroni and Cheese! Thanks for the recipe! I forgot to tell you that I used a makeshift double boiler and I had my MOMveeta made in about 10 minutes! Oh yes! a double broiler will work too! for american cheese- if you want something even more amazing than the Land O’Lakes — America’s Test kitchen has a DIY american cheese. I am trying that american cheese + the rest of your ingredient idea and making this. let me know how it comes out with their recipe. it does not freeze well. you can store in the refrigerator. Hi. This is fantastic! Thank you for going through all of those trials and then for sharing! I wondered if in any of your experiments you might have tried white Cheddar? If there is a difference in how the cheese melts or something? Or maybe there is not sharp white cheddar available? You can use white cheddar instead of the yellow cheddar. I used the orange/yellow cheddar to give it the same color as the velveeta. white cheddar instead of the american will not work. It looks so good but I didn’t want a runny substitute. If you put it in the fridge does it thicken up like regular Velveeta? As shown, it performs EXACTLY as regular velveeta. As someone else posted, I used sliced American and it worked fine. We buy American in bulk at Sam’s Club. It’s sliced, but not wrapped. I just took the amount I needed, left it stacked together, and then cut into cubes. As it was melting in the microwave, it did come apart, but I just stirred about every minute, and it came out perfectly. Thanks! You rock! I am going to try this this weekend. By the pics it seems to harden up ok in fridge. I need to grind velveeta and mix with ground meat looks like it will work fine. Oh my gosh. I just made this and it was awesome. I need to use it in a GF goldfish recipe that called for Velveeta. I didn’t want to use Velveeta so I searched the internet for a “healthier” version of Velveeta. I should have known you would have one Laura. Thanks so much!!! I thought my picky 7 year old would have scoffed at bc of the cumin, but as I am typing this reply he’s scraping the bowl with chips saying, “MMMMM. So cheesy. Cheese-erific!” Lol!!! Total winner. I am going to try this today! I live in Austria so there isn’t American Cheese in blocks but I’ve read that you can sub swiss cheese for American or perhaps Emmentaler. I hope it works! Dawn, Emmentaler will work better than Swiss. Think of cheese you can use in a fondue. enjoy! Dawn – I live in Ireland, and I can’t buy velveeta either. Let me know how it works out with the swiss cheese! Rheagan, swiss is a bit too tough to melt on here. Can you find cheese meant for fondue? I have read through all the comments and I think to make this just a regular block of velveeta, you just leave out the rotel? Please confirm :) We all really appreciate you taking the time to experiment! Hi Emily! Yes. You can leave out the rotel and it will be ‘regular’ velveeta. Check out this how-to video. I have not tried this yet, but it looks like a 5 star winner to me. No chemical processed yuck! Hooray! BTW, this is the best meal plan service I have signed up for ever. I have a 5 year old daughter with Anaphylaxis to peanut and I was struggling for lunch ideas. (She is also very picky eater.) I’ve been trying to get all my friends signed up with MOMables. Thank you! Keep the allergy friendly ideas coming! No American cheese that isn’t processed at HEB. Trying white cheddar and Colby instead. how did it come out Lisa? WOW! To say this was fantastic is an understatement! This was EPIC! Legendary! I would definitely make it again. I followed the microwave instructions. I used Land-o-Lakes White American Cheese (chunks cut from a pound I got at the deli), Cracker Barrel Cheddar (orange), Rotel Tomato & Green Chilies and fat free milk (not that it matters, but that’s what we drink) and cumin. Microwaved for 2 minutes, stirred, and them 1 minute increments after that for about 7 minutes. It started off a little liquidy, but once all the cheese melted and I took it out, it firmed up pretty quickly. My wife and I devoured about half of it watching football. Great work, MOM! So glad you guys loved it! -and thank you for coming back and leaving a comment! Just tried this on Sunday. Based on reviews I tried Colby in place of the natural American since I couldn’t find it. The results were not good – it separated and did not blend well. Unfortunately I tried this for a gathering and could kick myself for not doing a trial run first. I’m sure it was user error but I’m not sure if it was the Colby (and right now I’m starting to wonder if it was Colby Jack and not pure Colby I used) or if it could have something to do with the crockpot heating method? Maybe I over heated it? I had it on high per instructions and I did stir it frequently. I’ll have to try again – maybe on the stovetop instead. Oh no! I am sorry to hear this Christina! Colby did not provide consistent results which is why it did not make the recipe cut. Jack will only work in place of the cheddar but a cheddar + jack will not work. So sorry!! 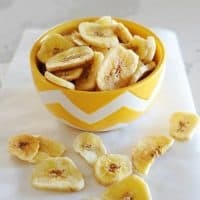 I’m so excited I found this recipe , Thank you so much for finding a natural substitute :), I have a queso dip that I love that calls for 1lb. Velveeta , 1lb. Burger , one jar salsa and one can cream of mushroom soup . I have been able to substitute everything but the velveeta , would I be able to put the two cheeses and milk along with all the other ingredients in the crockpot and have it turn out smooth and creamy or will I have to make the momveeta first and refrigerate first ? Thanks ! Hi Ginger! this recipe yields about 1.5lbs of momveeta (approximately). I would recommend you make the momveeta first, and add the other ingredients into the crockpot (the meat being cooked). Although it *might* work. I haven’t tried it with uncooked meat. You can, of course, make the momveeta, refrigerate and then use it as you normally would use a block of velveeta. I have to say that it’s not designed to sit in a crockpot for more than 4hours… since you have to stir it up so that it doesn’t burn on the sides (it is REAL cheese after all..). Thank you! You’ve really taken the time and effort here and I am so excited to find this recipe. Making my Momveeta right now. I try to cut out all additives and preservatives in my diet because they give me migraines, and now I have a sub that I can use for making apps to bring to parties, a cheeseburger soup recipe my husband loves, and a queso dip. I’m making it now without the tomato/chilis as a true Velveeta sub. Thank you thank you thank you! my pleasure Allison! Of course, you can leave out the tomatoes / green chilis. :) So glad this recipe will help you! Is whole milk recommended? Or can I use fat-free or reduced fat versions? And what about lactose-free milk; does that work, do you know? I recommend whole or low fat milk for this recipe. It’s very difficult to make this recipe latose free, since the cheese needed is not lactose free. Hi, I am expat in China and Velveeta is no where to be found here. I struggle to get Cheddar most days, but if I can time it right with the shipments I can get cheddar. I’ve read through the comments and saw that you suggested Edam cheese to one person. Have you heard any feedback on that? I have seen that here. I have also seen Emmental and Gouda. I can sometimes find a block or two of the Colby/Monterey Jack cheese, but I wonder how the Monterey Jack would affect it. What would you suggest out of those to replace the American cheese? All of them are quite expensive, but sometimes….it’s totally worth it. haha. Miranda, I don’t know what you are able to get your hands on in China… but look for cheeses that can easily be melted and hold texture –think of it as in fondue. I”ve heard of success with Edam. All cheddar will not work (see the picture with the big flop? yeah.. did not work-at all). How do you pack this cheese in a lunchbox? 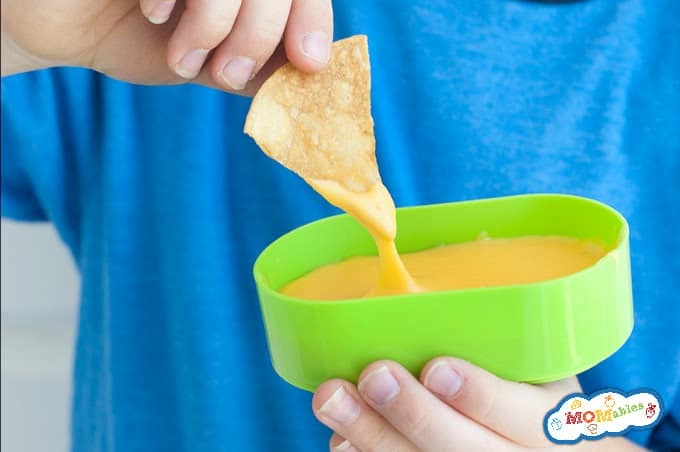 I’m looking at your nachos “lunchable” but not sure how to keep this dippable. It is too small of an amount to put in a thermos and I can’t think of what else to do. Thanks!! Tillamook was advertising a completely natural american cheese sometime in the past year or so. I have never found it in my grocery store, but it would probably be perfect for this if you can find it. Oh great! thank you for letting us know of another brand! Revised: I did not see a natural American Cheese on their website. This sounds great! I will definitely try with Boar’s Head: the label on their website says “pasturized process american cheese”, and the FDA regulates terminology for cheese product. “Pasteurized process cheese” contains 100% cheese, “pasteurized process cheese food” contains at least 51% cheese, and “pasteurized process cheese product” contains less than 51% cheese. So by those standards and their labeling, Boar’s Head at least is 100% cheese, even if it is processed to be smoother and meltier. My mom has a chili cheese dip recipe from an old crockpot cookbook that she and now I have used for years. It calls for 1 lb. of Velveeta, 1 lb. ground beef, 1 can tomatoes and chilies, Worcestershire sauce and chili powder as its only ingredients (I can’t recall the measurements of Worcestershire sauce and chili powder because I just dump it in until it looks good, haha). This would be a great sub for the Velveeta, adding in ground beef (I’ve also used very lean ground turkey to good effect) and subbing the Worcestershire and chili powder for the cumin, or adding it. If you don’t want it very spicy, use less chili powder and mild tomatoes and chilies (I use Rotel usually); spicier can come by way of a bit more chili powder and the hot version of Rotel. Thank you so much for this! I love that recipe and really want to clean it up so I feel a bit more virtuous eating it! I’ve recently found that Applegate Farms has real unprocessed American cheese. check it out here. you can buy them at all whole foods. I’m excited to try this. Do you know how long it keeps in the freezer? 1. When we omit the tomatoes/chiles, do we also omit the cumin? I rarely need a spicy melted cheese, just a plain one for mac ‘n cheese. 2. Would this work with raw cheese? I would not omit the cumin. it adds a little smokiness that i compared to some of the artificial flavors (but natural) in actual velveeta. you could half it. cumin isn’t spicy at all. I have not tried it with raw cheese but I have a feeling it wont’. I tried it with nearly every cheese combination out there… don’t waste your money… eat raw cheese how it’s best enjoyed… not like this. Can I just use block cheese that is by the shredded cheese? Oh my goodness! This is perfect! We are trying to cut out all the processed junk in our diets but my husband and so LOVE Kraft mac and cheese. I found a recipe that I think is a good substitute and it uses all real ingredients EXCEPT for Velveeta! Now I can make this Kraft substitute for my family. Thank you for doing all the hard work for us!! P.S. I saw this through a pin on Pinterest. Yay Emily!! it took months to get the right texture because I really REALLY wanted it to freeze, keep and store like the original. so glad you found us! I’m excited to try this. I’m even more excited that you have a print option for the recipe. Hahahaha. Is it necessary to use the tomatoes/green chilies? My kids are not huge fans of “spicy” food, any way to make this less spicy or is that a mild choice? No, you can definitely do without. Add 1/2 teaspoon of paprika to give it a little smokiness. I am kind of surprised you didn’t use vegan nacho “cheese”. Much healthier, keeps better in a lunch and is pretty much fool-proof? Have you tried any of the vegan nacho cheese recipes? I have not. I wanted to make a true substitute. While I am sure a vegan version is good, nearly all my audience isn’t vegan. If you have a good one to share, please email it to me at info @ momables dot com and I will be happy to test it out! So glad I found this recipe!!! I have a recipe for gluten free homemade goldfish type crackers, but it uses velveeta and I have cut out processed foods. Can’t wait to make this! Do you think this recipe would work melted on the stovetop instead of the microwave? absolutely, you will have to stir continuously OR use a double broiler (i prefer the second). SO glad I found this. I make a killer chorizo dip for a gathering of friends in July. Since going low carb and non-processed foods I was torn on what to make instead. Decided to make my own chili base, so I didn’t have to use canned. But what to use instead of Velveeta??? You’ve answered my prayers! I am in England and there is no american cheese around here. Any idea which cheeses i can use around here? Hi Olga! Do you have colby cheese? I know in europe they sell “melting cheese” often used in fondue. That would work best. I was just researching “natural American cheese” and found that its really white colby. But I think yellow would work…I am excited to try this, but with colby – because processed cheese product is just too disgusting. yes, yellow colby will work and it’s NOT processed. I can’t wait to try this out! I typically use organic dairy products. Do you think this would work just as well with organic american cheese? I usually use Organic Valley. Thank you! Oh, ok. I’m not sure if I can get unsliced Organic American Cheese…but I’ll take a look. Thanks! Greta, i recently tried it with Applegate sliced natural American cheese. It worked well! Is Boars cheese a “unprocessed brand”? I seen it in white American at the deli and wondered. Didn’t see Land O Lakes. Hi Jill! Boars Head will work. It’s MUCH better than most! I can’t eat processed cheese…. would any other cheese work? Christine – I’ve tried this recipe 21 different ways. you can try using Fontina cheese or Emmental (or half and half) +2Tablespoons milk +2 teaspoons lemon juice. unfortunately, most cheeses are not meant to stay “melted”. there are a few brands out there of American cheese that aren’t processed cheese. Hi there. If buying anything from a store isle and a processing line really bothers you, try googling “make American Cheese,” or “Homemade American cheese recipe.” Hope it helps! This turns out great! Last time I made it, I used the leftovers to top a naughty pan of chicken enchiladas. Thank you! About the butter. You say you used Land o Lakes but I don’t see it on your ingredients list? How much do we use? I didn’t use butter. I used Land o Lakes white American cheese. It’s one of the least processed brands. Um any idea what american cheese might be in the uk ? Is it creamy spready cheese? Is it soft and squishy- designed to melt? Maybe like edam or emmental? scramble up some breaksfast sausage, drain and add to it! Do you think this will keep in a lunch box? Or will it get too hard after a few hours? it will harden by lunch for sure. 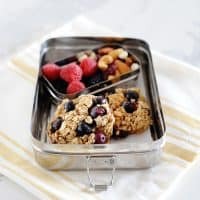 the reason i pictured it in a lunch box is because I served it for my kids as snack trays during the football game Sunday. Sounds delish Laura ! Think am going to try this at home. Love that you added cumin to it :) Will let you know how it turns out ! I have never heard of “natural american cheese” — it kind of sounds like an oxymoron! HA! Where does one find that?? there are some that don’t have nasty ingredients. the most commonly found one is land o lakes brand. it’s better than the alternative. Thanks… I realized I hadn’t fully read the notes (although I thought I had) — sorry for the redundancy. I may have to try this some time :) Thanks! don’t worry! there is just no way around the fact that the yellow box sold on the shelves is only between 47-51% cheese “product” the rest is additives. Cheese product refers not to just milk but can be whey proteins, lactose and any milk derivative. I am going to attempt to make it..We don’t drink Milk, so I’ll have to let you know if it works with almond milk..
Fabulous points Ruth! coconut milk will definitely make the recipe creamier -although I have not tested it. I know a lot of people try to make substitutes for some of our recipes and I always say that I cannot guarantee the results when that’s done. I’ve tried raw milk before and I love it but it’s not sold anywhere near me. Awesome, but 2 questions! 1) What could a Canadian use as a substitute for “American” cheese? 2) If I omit the seasoning / chiles, will this firm up to be like the questionable cheese circle things in the real / gross Lunchables? Again, I love what you’re doing here. So great to have s site like this. I think you might have something called imperial cheese? not sure. If you omit the chilies add 1/2cup more milk as per directions. let me know what you find! Can you tell us which brands did not work out good? I tried this recipe with Boars head white american cheese -amazing results. I also used land o lakes -great results too. I omitted using any of the american cheeses that say “processed cheese” in the packaging.